My local PD does not do fingerprint cards anymore. They helped me out in my last NFA submission by finding some old cards and one of the officers who was old school and remembered how to fingerprint. I am getting ready to do another NFA submission. Any ideas on where else I can go to get this done? Where do you get your fingerprinting done to submit a form 1? Local Corrections will do it for reasonable fee,recently had the same dilemma ! Silencershop kiosk and form service. It’s worth the money to have it on file. I copied this from my prior thread I posted. 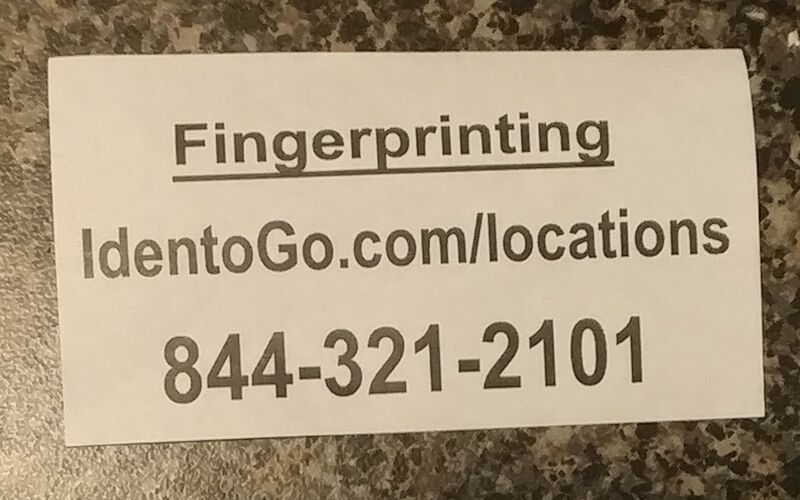 It may be worth the drive and to save the hassle of finding your prints again. I stumbled across Xtreme gun worx by accident. They are located at 570 Chestnut st. Emmaus Pa. 18049. The funny thing is I have driven by this location and never knew they existed. So after stopping in the shop, it turned out to be a nice place. I liked the gun selection and accessories. *****They also sell silencers and have a fingerprinting kiosk. IDK exactly how all of that works, however the system sounded neat, and it was briefly explained to me. ***** They also have a nice selection of scopes and other optics. If your looking for a deer rifle, this isn't the place. If you want to bang steel from another zip code, they just might have what you need. The only two things I didn't like was the parking lot and the store sign. The parking lot was just too small. This is hard to blame on a shop looking for a good location. Parking is always a premium when it comes to a great location. The sign as I recall was also small. Signs tend to be small because of zoning laws. Again this may not be the fault of the owner either. The guy who helped me was very nice and answered all of my questions. He also told me they thread barrels and other gun smith work. I picked up some small parts and was happy with the price. I told the guy who helped me that I would tell others about the shop. As mentioned- the Kiosk are a good idea. or perhaps Class 3 Dealers. Did you happen to notice if they have any H&K bipods? Your local central booking should be able to take care of this. I get mine done at my local (county) central booking and it costs me $20. (At least some) state police barracks will do them too (for free). Not sure if all will do them, and only some troopers are familiar with the process. Make sure to use the right cards with the correct ORI number and make sure you don't get booked by mistake. Also, specifically for ATF NFA transfers, the "employer" address field is NOT your employer, but the address of the employer/agency of the person taking your prints. This is different than for other uses of the card. Other sources may disagree, but this is what ATF has told me repeatedly. Last edited by buckengr; March 12th, 2018 at 11:20 PM. Get a $7 ink pad from Amazon and cards from the ATF and roll your own.